CANBERRA, Australia – Dec. 3, 2014 – Australian Minister for Defence, Senator the Hon. 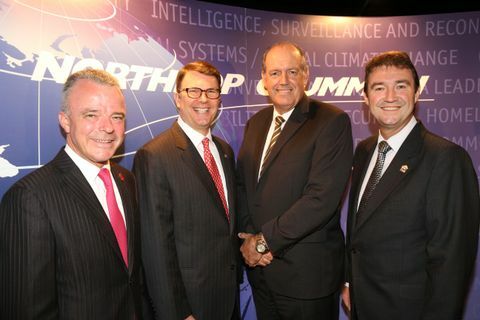 David Johnston, formally launched Northrop Grumman Australia in a ceremony at the Australian War Memorial last night. With over 400 employees now in Australia, it is one of the key international growth areas targeted by Northrop Grumman Corporation (NYSE:NOC). Northrop Grumman products and systems have been supporting Australia's national security requirements for more than 20 years. The recent appointment of Ian Irving as chief executive for Northrop Grumman Australia, and the establishment of a permanent local presence marks a new phase in the company's contribution to Australia. "Northrop Grumman is committed to work with Australia to provide innovative solutions to its defence and national security needs now and into the future," said Wes Bush, Northrop Grumman chairman, chief executive officer and president. "Northrop Grumman also sees an opportunity to develop a regional hub for the Indo-Pacific region in Australia which will enable our presence to grow and will create additional business opportunities for local Australian industry." "The government warmly welcomes today's formal launch of Northrop Grumman Australia, a highly regarded company and defence partner with a long history of supplying and supporting the Australian Defence Force," said Minister for Defence David Johnston. "In March, the government confirmed it would buy the MQ-4C Triton subject to the program meeting U.S. Navy benchmarks. I am pleased with the reports I've received on its sensor performance and a recent U.S. coast-to-coast transit. I should add exact Triton numbers will be determined in the White Paper due out next year." "The MQ-4C Triton is a high-altitude, long endurance aircraft that will be used for maritime patrol and other surveillance roles and will operate out of RAAF Base Edinburgh alongside the P-8A Poseidon when it enters RAAF service," Senator Johnston said. 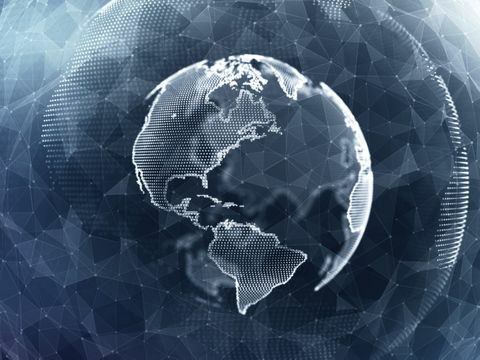 The acquisition of M5 Network Security and QDS, now Northrop Grumman Integrated Defence Services (IDS), over the past two years has seen a rapid expansion of Northrop Grumman's in-country presence. 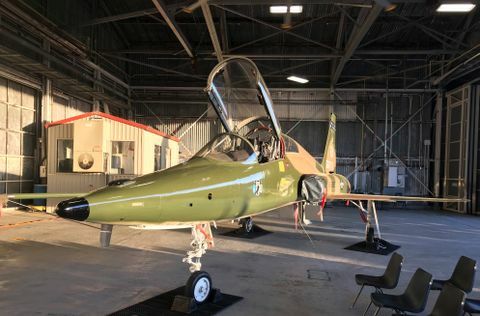 Northrop Grumman now has facilities up and down the east coast of Australia and the company's Australian capabilities range from secure communications and the cyber domain to aircraft support and sustainment, through to a growing unmanned systems and intelligence, surveillance and reconnaissance (ISR) capability. "I'm very proud of the capability we now have here in Australia to support the Australian Defence Force and Australian national community," Irving said. "We're working hard on establishing Northrop Grumman in Australia, and we look forward to being able to support the Australian Government even more into the future. Our firm objective is to add to the national security of Australia in the region and that our contribution will provide an enduring capability for the country."